Former Chicago alderman and mayoral candidate William Singer has agreed to pay a $25,000 fine for lobbying Mayor Rahm Emanuel through the mayor’s private emails, but failing to register as a lobbyist, the Chicago Sun-Times is reporting. For the same reason, Chicago’s reinvigorated Board of Ethics also imposed identical $2,500 fines against Marc Andreessen, Anthony Davis and Greg Prather. Jim Abrams, a close friend and heavy contributor to Emanuel, and Alan King, the attorney husband of Ald. Sophia King (4th), were also fined $2,500. Yet another lobbyist was hit with a $1,000 fine, but the Board of Ethics did not name the individual. Contacted Friday, Singer said he was at a restaurant and unable to talk. His offer of a $25,000 settlement stems from his lobbying activities on behalf of United Airlines in connection with Emanuel’s plan to build nine more gates at O’Hare Airport bankrolled by $300 million in airline ticket taxes. Davis, president of Linden Capital Partners, was cited for an email he wrote to the mayor and Deputy Mayor Steve Koch on Dec. 4, 2014, pushing for a zoning change for triathlon training center bumped by a CTA project at Fullerton and Damen. “Timing is of the essence given their eminent domain eviction. I have reached out to the alderman’s office. How can we get this moved along as quickly as possible? New address is 2525 N. Elston Ave. Alderman is Scott Waguespack,” Davis wrote. The Ethics Board rejected Davis’ argument that he was not acting or “retained” or “employed by another person” to engage in lobbying activity. He argued he was merely asking for a meeting and that did not constitute lobbying. “The subject here was emailing the Mayor and Deputy Mayor on behalf of another person, a business, of which he was a patron, and with whose owner he was on friendly terms,” the board wrote. Prather is a senior vice president at a real estate services firm working to redevelop Chicago’s long-vacant Main Post Office. On October 31, 2016, Zoning Committee Chairman Danny Solis (25th) forwarded an email to the mayor from Prather seeking help in facilitating “quite a bit of work we need to do beneath our building at track level” and in reducing sky-high fees imposed by Amtrak. “Amtrak has some very restrictive and onerous language in the license agreement they impose on neighbors when they are required to perform work at track level,” Prather wrote. Andreessen, who co-founded Netscape, was cited for 2015 and 2016 emails he wrote to the mayor on behalf of home-sharing giant Airbnb. At the time, a heated debate was raging in the City Council about how far to go in regulating home-sharing. “My colleagues at [the company] are hoping to get a few mintutes of your time to discuss the shifting home regulatory landscape,” Andreessen wrote. “The company reports that the current draft from your team is even more onerous than San Francisco’s Prop F which was proposed and defeated soundly here,” he wrote. In 2009, former Ald. Edward Vrdolyak (10th) was sentenced to five years’ probation and a $50,000 fine for his role in a crooked 2003 real estate scheme with a board member of the Rosalind Franklin School of Medicine and Science. Vrdolyak admitted then that he and board member Stuart Levine agreed to split a $1.5 million finder’s fee for the $15 million sale of the school’s Gold Coast building to Smithfield Properties. Vrdolyak never collected on the finder’s fee, which was to be paid after the property was redeveloped. Vrdolyak struck the deal with Singer, Smithfield’s lobbyist, who was never charged in the case. Emanuel has accused the Board of Ethics of turning “average citizens” into lobbyists in its zeal to shed its weakling image and follow the road map provided by his private emails. “In the interest of reform, we have lost our perspective,” the mayor said. Emanuel has also joked about what happened recently around his own kitchen table. “Amy [the mayor’s wife] was saying something to me and [daughter] Ilana says, ‘You’d better not, Mom. 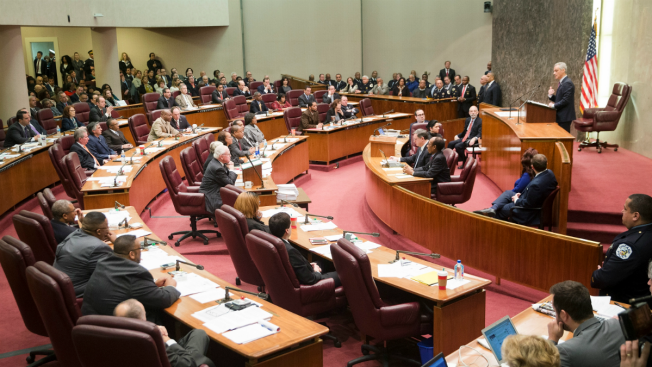 You’re gonna have to register as a lobbyist,’” Emanuel said.